As a leading provider of forensic consulting, we take pride in offering expert toxicological, biological(e.g. mold, hydrogeologic, water, wastewater environment, land development and chemical consulting services. We are dedicated to serving the needs of our clients each and every day. 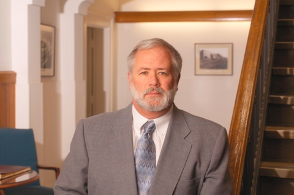 Dr. Miller is the founder, Owner and President of Miller Forensic Consulting, LLC. He has over 35 years experience working with indoor air quality, microbes and mold toxins. He is certified as a medical technologist by the American Association of Clinical Pathology (MT(ASCP)). This certification included extensive training and laboratory experience in microbiology. He is a certified Toxicological Chemist by the National Registry in Clinical Chemistry.Kevin has provided expert witness testimony in numerous drug and alcohol trials. Dr. Miller is certified by Environmental Solutions Association as a mold inspector (CMI) and mold assessor (CMA). He has also studied microbiology at the graduate level both in academic and hospital settings. He has presented numerous lectures on environmental toxicology, indoor air quality, mold, and Healthy Homes and Buildings on both a local and national basis. He has authored several papers on mycotoxins. He is a laboratory director in chemistry and microbiology approved by the Connecticut Department of Health. Dr. Miller is a member and on the National Board of Directors of the Lead and Environmental Hazards Association (LEHA). LEHA is a professional association specializing in indoor air quality, microbial inspections and remediation. He has directed indoor air quality projects and the inspection and remediation of microbes in numerous homes, schools and commercial buildings. Dr. Miller has managed numerous asbestos and lead remediation projects. He has conducted numerous PCB investigations of building materials (e.g. caulk,glazing, mastic etc) especially in K-12 schools and housing projects. Dr. Miller has extensive experience as an expert witness. Dr. Miller has managed numerous lead and asbestos remediation projects. He is a certified Healthy Homes Specialist by National Environmental Health Association(NEHA) and the National Center for Healthy Homes(NCHH). Dr. Miller has presented over 100 lectures on indoor air quality, mycology,environmental chemistry, risk analysis, Healthy Homes and Buildings and toxicology on both the local and national level since 1985. Environmental chemistry, toxicology, clinical toxicology, indoor air quality, laboratory quality control, microbiology, healthy homes, lead, asbestos, hydro geology and PCBs in building materials.